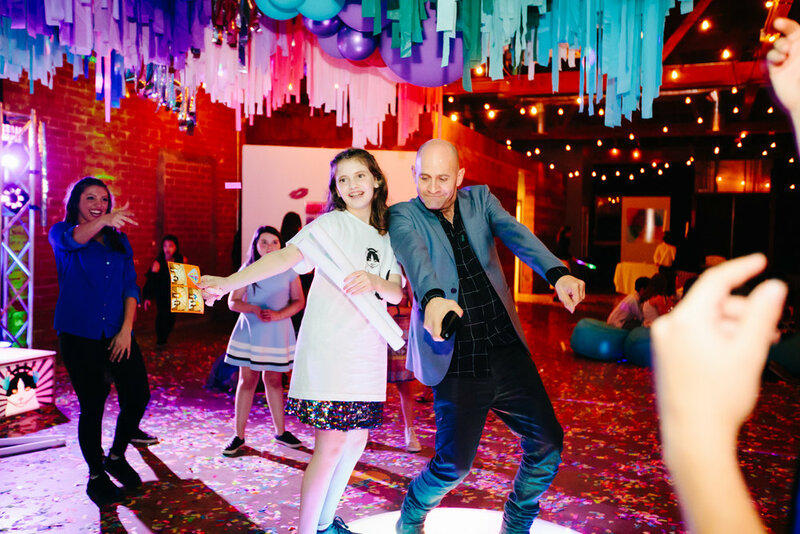 Julie’s Bat Mitzvah was in a swanky location in downtown LA in the arts district. 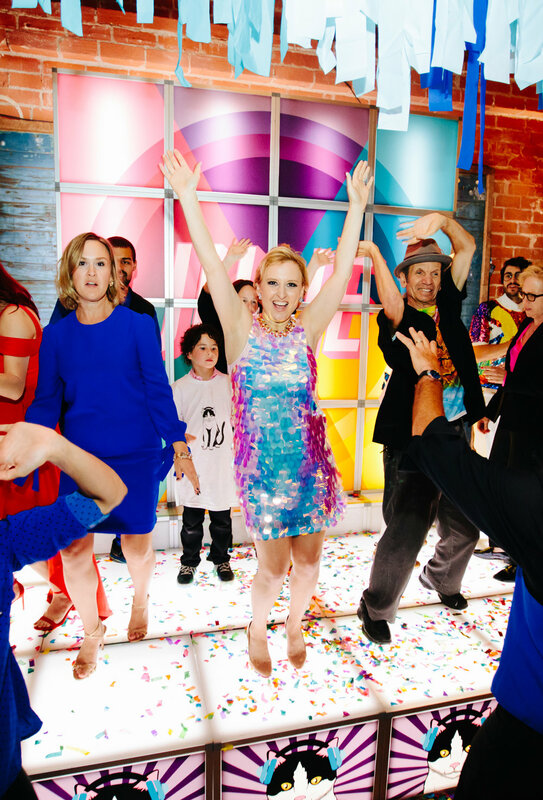 It was truly one for the books as it was decorated with plenty of color and unexpected surprises for the kids such as the llama and the explosion of confetti during the Hora. 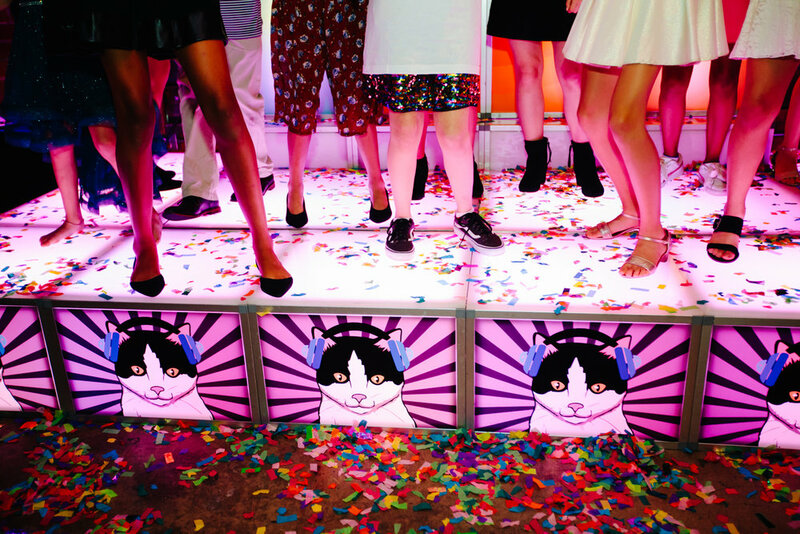 Jessica has her own party planning company, so she used this as an opportunity to be creative and try new things. I love that mentality. The balloon and streamer ceiling installation was inspired by something similarly done in Australia. It took weeks to construct and it turned out beautifully. Julie is such a little doll and so gracious and kind. 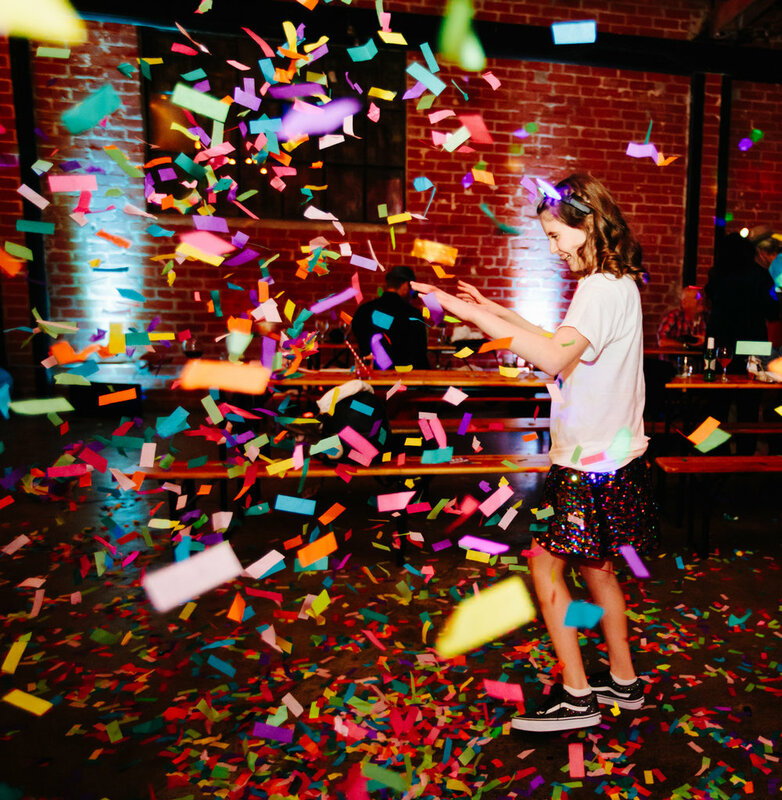 With these types of milestone events, it’s a balance of seriousness and capturing the lively spirit of the festivities and I’m always so impressed with kids this age and their ability to emotionally and mentally handle this type of thing. I photographed her older sister, Lily’s Bat Mitzvah party two years ago, and I love seeing the same people at these events because I feel like I have better awareness of who the important family members are and I can capture people better. Some of my favorite pictures of the night were of Julie and her dad dancing and capturing those heartfelt moments.